Niko looked down at her t-shirt that read “Children’s Zoo Volunteer.” She forgot that she still had it on. The older lady in front of her in the checkout line, had turned and smiled. “I like your shirt. Have long you volunteered there? We, volunteer managers often say, “we want our volunteers to feel included.” This is a little bit like saying, “I want my child to think I love him.” Creating an atmosphere in which someone feels something does not guarantee those feelings are based on something tangible. Rather, those feelings could be based on surface ideas and token gestures instead of deeply ingrained truths. Maybe instead, we should state, “we want our volunteers to know they are included,” or “we want our volunteers to be included.” It’s a subtle, but important difference. 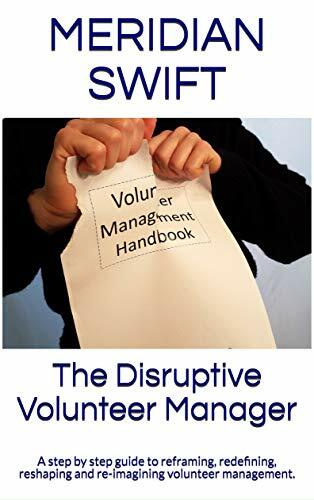 Perpetuating outdated ways of thinking will not move volunteer engagement forward. Inclusion is not about the emotions involved and whether or not we imagine that volunteers feel included. It’s about knowing they are included. It’s about stepping up and putting words into action and creating a foundation of inclusion versus symbolic gestures. If volunteers are part of the “team,” then we have to ask: Why are they always referred to as an aside? Just for the heck of it, let’s look at a different kind of team and consider this recap of a baseball game. In shortstop news, Addison made an incredible play. In second base news, Javier made a great play. In Right Field news, Jason hit a home run in the 5th. In Left Field news, Billy hit a home run in the 5th. In Third Base news, Ron scored a run. In First Base news, Ernie executed a perfect bunt. In Pitching news, Fergie had 11 strikeouts. In Catching news, Wilson called a great game. Doesn’t sound so much like a team effort anymore, does it? Truly integrating volunteers into the team means including them as partners in our accomplishments. Sure, we can identify them as volunteers, just as we identify a baseball player’s position. And including them in our accomplishments in no way detracts from the accomplishments of hard-working staff. It simply indicates that our organization is a team, working together. It shows we are generous with our credit and that we want to expand our support in the ongoing effort to accomplish our goals. It shows that outcomes are the objective, not ownership or martyrdom or personal praise. Inclusion shows potential volunteers, staff members, board members, clients and even donors that we are the very essence of charitable. When we send out our glossy newsletters, is there a volunteer spotlight within or are the volunteers incorporated into the meaty stories about how the team has made inroads into stopping illiteracy, or providing meals to vulnerable populations? Do volunteers’ names appear in the same sentence as staff members or donors? Another wonderful post by my favourite volunteer management site! It feels like a perfect companion to my last post on here! Thank you for this wonderful post on volunteers and “the team.” It means a great deal to me! I’m glad, Katherine, this post was written for volunteers such as yourself-mission dedicated, unwavering. We need to listen to all your voices more so that we never lose sight of why we do what we do. I appreciate your thoughts on how important it is for volunteers to know they are part of the solution, and to be recognized as such. Volunteers aren’t typically there for the recognition, and perhaps that’s part of why they don’t always get included in the bona fides. Something like a “volunteer spotlight” is such an easy thing to do, and it can help motivate other volunteers, just knowing that their efforts really are appreciated. Thanks for posting! Hi Nina and thank you for weighing in, appreciate your perspective. I agree that a volunteer spotlight shows appreciation. We can build on that idea to do an even better job and include volunteers in mainstream articles and not always separate them. 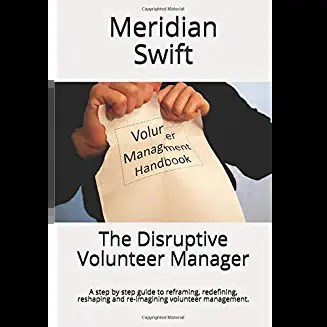 We tend to focus on the volunteer personally instead of focusing on the contributions that volunteer is making which is a more meaningful recognition of their efforts.